With Valentine’s Day approaching there is no question that love is in the air. 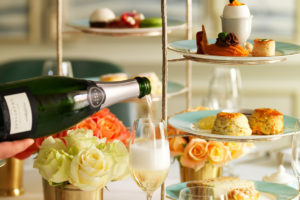 This gave us an excuse to research the most luxurious romantic getaways, all of course, with afternoon tea. 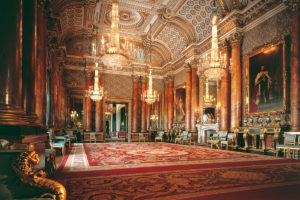 Here’s a peak at our top five romantic breaks in the UK. Start planning your romantic night away. 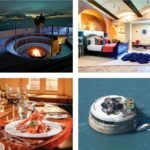 If it’s total isolation you desire for your romantic break, Spitbank Fort is a solitary sea fort in the middle of the Solent offering a mind-boggling wow factor. Initially constructed in 1859 by royal commission, it was built as a gun emplacement line of defence for the British fleet. Happily today, it serves as a quirky but luxurious hotel which carefully blends its rich, nautical past with today’s finer comforts. With a mere nine guest bedrooms, it provides a high degree of exclusivity and individual cosseting during your reclusive retreat. This romantic night away offers Hollywood style including an open-air hot-pool, fire-pit, wine cellar, sauna, games room, elegant bars, Officer’s Mess restaurant and private launch to transport you to and from the mainland. Combine this remarkable fort with a fine dining experience, that includes afternoon tea, and you have the perfect ingredients for a most memorable escape. 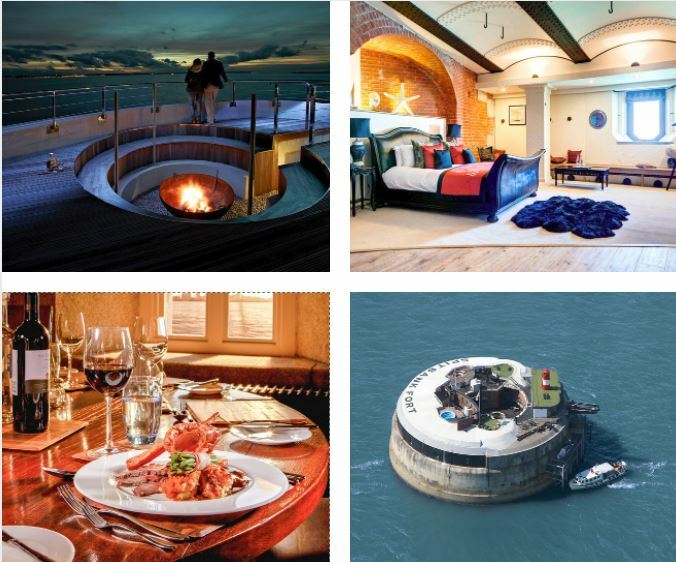 Discover Spitbank Fort for a secluded romantic retreat. 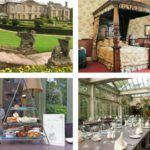 . .
Nestled in the heart of the beautiful Warwick countryside, Coombe Abbey boasts 500 acres of parkland, formal gardens and a tranquil lake. Founded as an abbey in the 12th century, its historical past entwines with King Henry VIII, the Gun Powder Plot and Queen Elizabeth I. Today, it is a stunning and unique hotel with a superb period ambience. 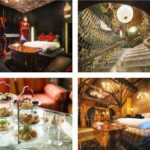 Experience candlelit corridors, individually designed bedchambers, four poster beds, stone walls, creaky staircases and a sprinkling of nooks and crannies. Offering a fine dining experience, from a la carte dinner to afternoon tea, lavish surrounds, subtle lighting and discreet service offer a memorable romantic night away – perfect as an anniversary getaway or weekend break. 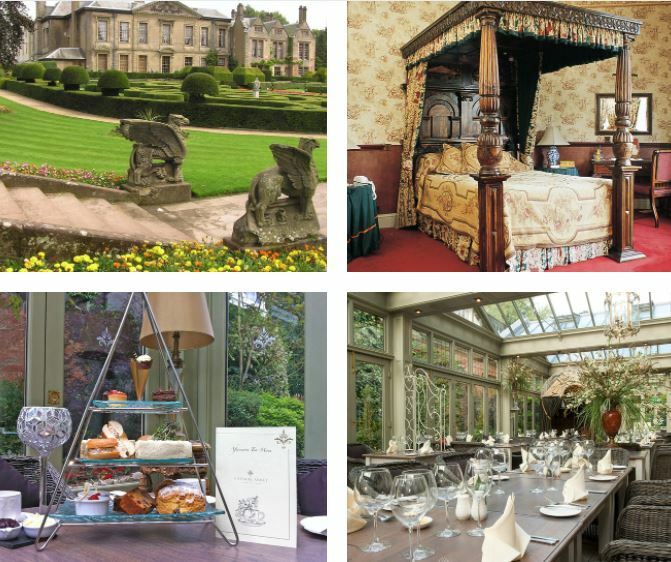 Stay a while at Coombe Abbey . . .
A romantic break at the Rockhouse Retreat will give you and your partner the chance to get back to nature. 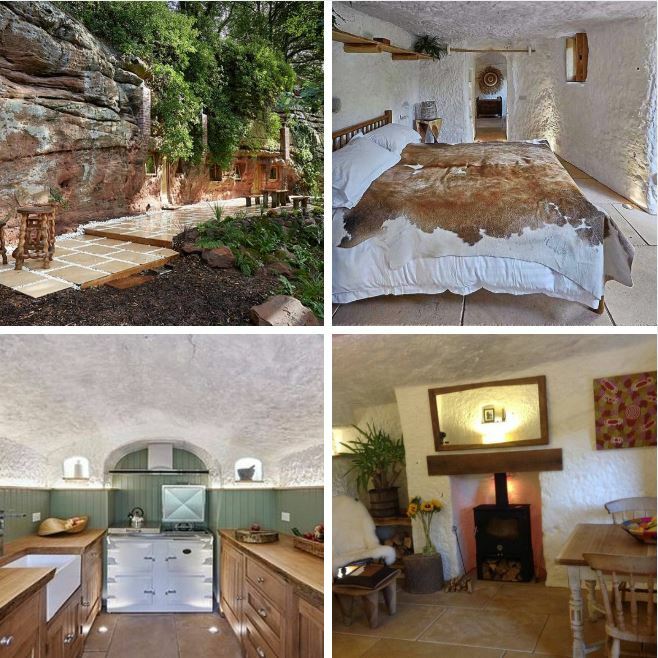 Hidden within three acres of private woodland on the banks of Honey Brook in Worcestershire this is Britain’s first 21st century cave house. 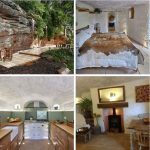 It’s carefully designed accommodation offers homely charm with modern day comforts such as underfloor heating and a unique ‘cave oasis’ rainforest shower. 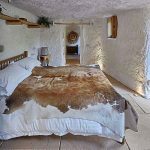 Sleep in a luxury bedroom complete with king size bed, wood fire and a bottle of red wine. A fully fitted kitchen, entertainment terrace and a fire pit are all included. As romantic getaways go, it doesn’t get much better than this. Treat yourself to a romantic getaway for two at the Rockhouse Retreat . 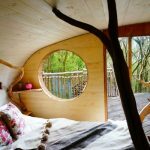 . .
Reach for the stars with this fantastic tree house experience. 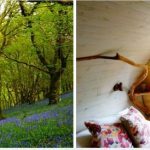 Perched amidst the tree tops on the border of Snowdonia National Park, be at one with nature with this back to basics, but with a luxury twist, romantic break experience. 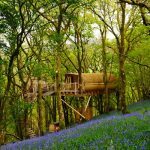 Your tree house is kitted out with retro wooden furniture, top of the range beds for a blissful night’s slee and a fully-equipped kitchen with gas stove. With no electricity, snuggle up in front of the roaring fire and freshen up under the outdoor spring water shower. For outdoor lovers and cycling enthusiasts, bring your bikes to explore the beautiful Welsh countryside. The beach is only five minutes away and the local market town of Machynlleth boasts excellent independent shops with first-class local produce. Treatsomeone special to a romantic getaway . . . Escape to the Scottish Highlands for a peaceful romantic break in the beautiful surrounds of the Dunalastair Hotel Suites. 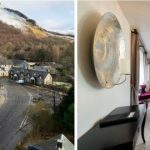 Nestled under the mighty Schiehallion Mountain and overlooking a waterfall, this Victorian Hotel provides an oasis of calm and opportunity to escape the hustle and bustle of everyday life for a few blissful moments. Take to the great outdoors and explore the surrounding and stunning Scottish scenery. Take a hike, cast a net or hit a golf club, whatever your choice, there are plenty of outdoor activities to pursue. Dine in the formidable hotel restaurant with its exquisite locally-sourced food in the evening and following a restful night’s sleep wake up to a delicious continental breakfast. Discover the Scottish Highlands . . .
We hope you’ve enjoyed our top 5 UK romantic getaways. Where would you love to spend your romantic break? Feel free to comment below. 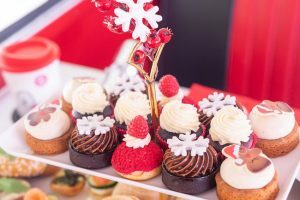 In the meantime, why not use our Venue Search to find your perfect venue for afternoon tea, a blissful break or a fantastic day out.